Nurturing Leads - Beasley Direct & Online Marketing, Inc. Recognition Systems makes security equipment which positively identifies employees through the imprint of their hands. It’s less invasive than fingerprinting, but still effective in such situations as a small fast food store where employees might punch in their buddies for pay they hadn’t earned. Beasley Direct was asked to get the word out and offer an article reprint as a premium, along with a lock for those who got a demo. This program demonstrates the value of a one-two punch using direct and telemarketing in a concerted sequence to reach restaurant owners and managers. 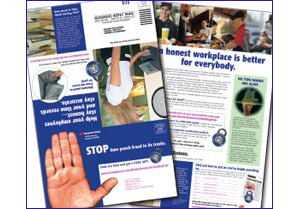 The direct mail was immediately followed up by a telemarketing call to verify that the recipient had seen the direct mail piece and was the right person to contact about purchasing. If they weren’t, a direct mail follow-up was directed to the correct purchasing influence. Qualified leads were handed over to sales and less mature leads were put on a schedule for future nurturing contacts — an example of an efficient program with very little waste. How can our experts help you with nurturing leads? Contact us now.